In a hard-hitting opinion piece following Prime Minister Narendra Modi's return from the US, "The New York Times" (NYT) has termed Modi's silence on recent killings of some well-known activists and experts in India as "ominous". Titled "India’s Attack on Free Speech" and authored by Sonia Faleiro, based in London, the article says, "In today’s India, secular liberals face a challenge: how to stay alive." Author of “Beautiful Thing: Inside the Secret World of Bombay’s Dance Bars” and co-founder of the writers’ cooperative Deca, Faleiro gives several examples of killings which recently took place, especially focussing on the murder of 77-year-old scholar MM Kalburgi, an outspoken critic of Hindu idol worship, who was gunned down on his own doorstep. "The murders in India share striking similarities with the killings of four Bangladeshi bloggers this year", the NYT says, adding, "But while there was a global outcry over what happened in Bangladesh, India is hiding behind its patina of legitimacy granted by being the world’s largest democracy." "Like the murdered bloggers, the Indian victims held liberal views but were not famous or powerful. 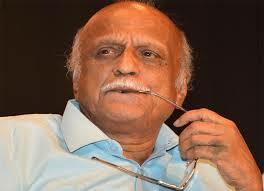 Kalburgi had publicly expressed skepticism toward idol worship in Hinduism, but he didn’t pose a threat to anyone", the writer says. The NYT article says, the message is loud and clear: "Secular voices are being censored and others will follow." Not sparing the previous UPA government by saying that there were "episodic attacks on free speech in India" earlier too, the NYT believes, "This time feels different. The harassment is front-page news, but the government refuses to acknowledge it." It underlines, "Indeed, Prime Minister Narendra Modi’s silence is being interpreted by many people as tacit approval, given that the attacks have gained momentum since he took office in 2014 and are linked to Hindutva groups whose far-right ideology he shares." Pointing fingers at Modi, the NYT says, "Earlier this month, a leader of the Sri Ram Sene, a Hindu extremist group with a history of violence including raiding pubs and beating women they find inside, ratcheted up the tensions. He warned that writers who insulted Hindu gods were in danger of having their tongues sliced off. For those who don’t support the ultimate goal of these extremists — a Hindu nation — Modi’s silence is ominous." Coming down heavily on the authorities for dealing with each of the killings no a "case-by-case basis", the article says, "The overarching attack on free speech has not been addressed. The threats and killings have created an atmosphere of self-censorship and fear." "Some of the killers are still on the loose, and while in one hand they wield a gun, in the other they wave a list", it says, adding, on September 20, Wagle himself learned from a source that intercepted phone calls had "revealed that members of yet another right-wing Hindu group, Sanatan Sanstha, had marked him as their next victim." "The extremists who celebrated the August murder of Kalburgi were more direct: They used Twitter to warn KS Bhagwan, a retired university professor who is critical of the Hindu caste system, that he would be next", the writer underlines. "The goal of transforming India from a secular state to a Hindu nation, which seems to be behind the murders, is abetted not just by the silence of politicians, but also by the Hindu nationalist policies of the ruling BJP", the writer says, adding, all this has accompanied with the way in which, over the past few months, the "government has purged secular voices from high-profile institutions including the National Book Trust and the independent board of Nalanda University." "The government is not replacing mediocre individuals: The chancellor of Nalanda was the Nobel laureate Amartya Sen. It is replacing luminaries with people whose greatest qualification is faith in Hindutva ideology. The new appointees are rejecting scientific thought in favor of religious ideas that have no place in secular institutions", the article comments. Pointing out that one of the government’s chief targets is the legacy of India’s first prime minister, Jawaharlal Nehru, who laid the foundation for a secular nation, the article recalls how "last month, having nudged out the director of the Nehru Museum and Library in New Delhi, the government announced plans to rename the museum and change its focus to highlight the achievements of Modi. This is akin to repurposing the Washington Monument as an Obama museum." THIS IS ABSOLUTELY CRAP NEWS...NYTIMES STOP BEING A PRESSTITUTE! IN INDIA WHEN CONGRESS WAS IN POWER M F HUSSEIN HAD TO LEAVE INDIA BECAUSE OF THE NAKED DEAWING HE DREW OF HINDU DEITY...WHY YOU WANT TO BLAME MODI FOR THESE INCIDENTS? ARE YOU GETTING MONEY FROM INDIAN NATIONAL CONGRESS PARTY? STOP BEING BIASED. MODI HAS NOTHING TO DO WHTH ANY OF THOSE INCIDENTS..HE NEVER SPEAK ON THE ISSUES THAT INDIAN POLITICAL PARTIES ARE CUNNINGLY FORCING TO DRAG HIM INTO COMMUNAL CONTROVERSIES... ITS BEEN HAPPENING SINCE LAST 12+ YEARS WITH THE SUPPORT OF AMERICAN MEDIA & US GOVT! STOP THIS NONSENSE!